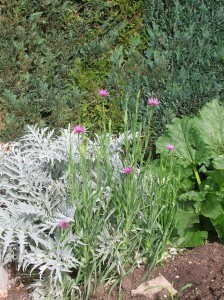 We grew some salsify last year for the first time, and yummy it was too. Some people thing it tastes a little of oysters, hence its other name – oyster plant. I think it’s a more savoury alternative to parnsip, which is too sweet for some people. Like other root veg it’s splendidly versatile – chop it up for stews and casserole, roast it, slice it thin and saute in butter – or mash it. There are some more ambitious recipes here. We like to grow as much as we can from saved seeds. Not only does it keep costs down, if you take seeds from the best plants you’ll be selecting the ones that thrive in your particular soil and climate. 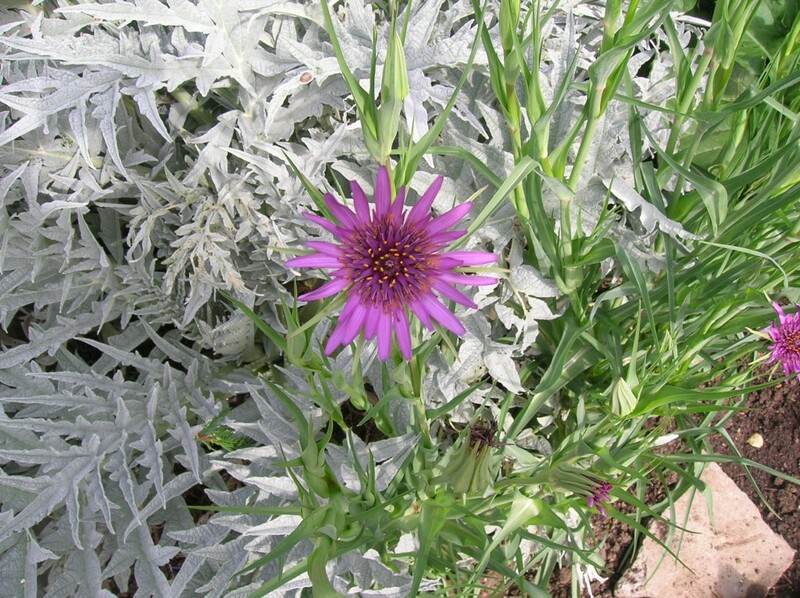 Letting salsify flower was a nice surprise. 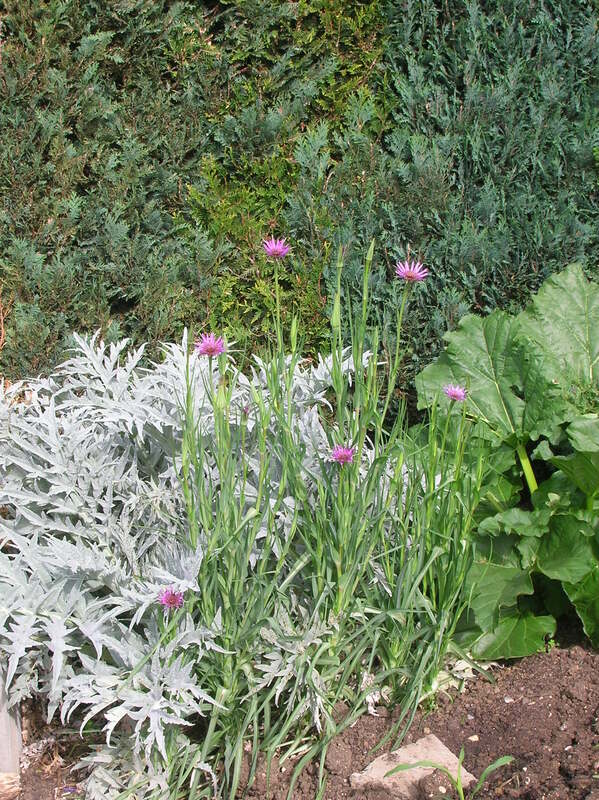 It grows into an elegant, upright plant about four feet high – the picture above shows the ones we kept against our artichoke and rhubarb (and the bloody hedge). The flowers are lovely too, about 2″/5cm across. I noticed the flowers are open nice and early in the morning, but soon after midday they are closed up tight again. Very punctual. Other flowers do similar things – that’s an idea, a flowering clock garden! 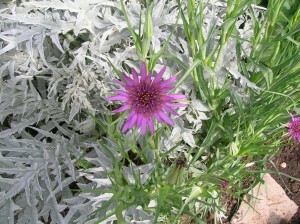 Lady Plott was as much taken with salsify flowers as I was. She suggested we put some in the flower bed. Vegetables in the flower bed? For once I’m inclined to agree. Strornary! I guess squirtable fish might be a little weird to some; it tasted pretty delicious though, and I was already able to start picturing how it d work with the parsley root and smoked steelhead roe.